It’s hard to ignore the voices inside your head, whether you’re struggling to not to laugh as your dad asks you what an Instagram is for the 18th time, or trying to resist procrastinating on a Friday afternoon. 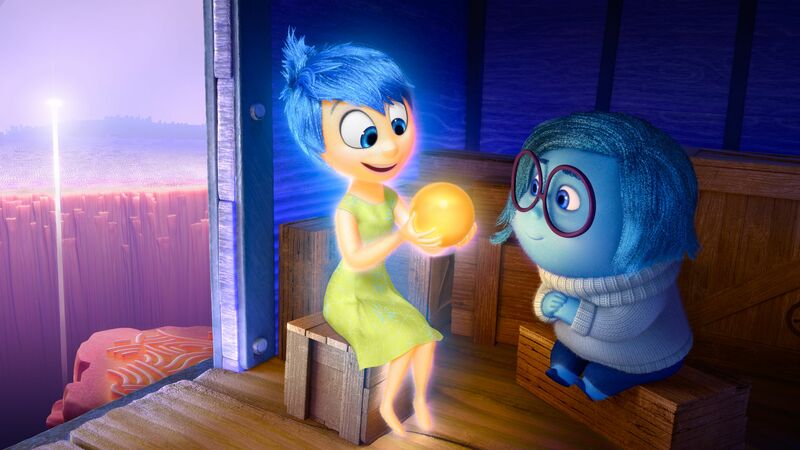 Inside Out dives into your brain head first to explain some of those moments where you just don’t know what to feel. Riley is an 11-year-old American teen who has it all, great family, great hockey team and a great house. Of course everything changes when the family have to move and this sends Riley’s emotions into overdrive, which is where we meet Joy, Anger, Disgust, Sadness and Fear. Like all Pixar films, the characters look incredible, the level of visual detail as they build this imaginary world in Riley’s head is astonishing, right down to the speckled, brightly-coloured outlines and other-wordly edge to the characters themselves. While the plot centres on Riley, it’s really Joy who is the main character here. It would have been easy to go for very basic emotional choices to describe the range of emotions in people, but going for Joy rather than Happiness immediately brings more depth to the character itself and makes her more relatable. Everyone knows someone who tries to see the sunny side of everything, and you immediately see them in this character. 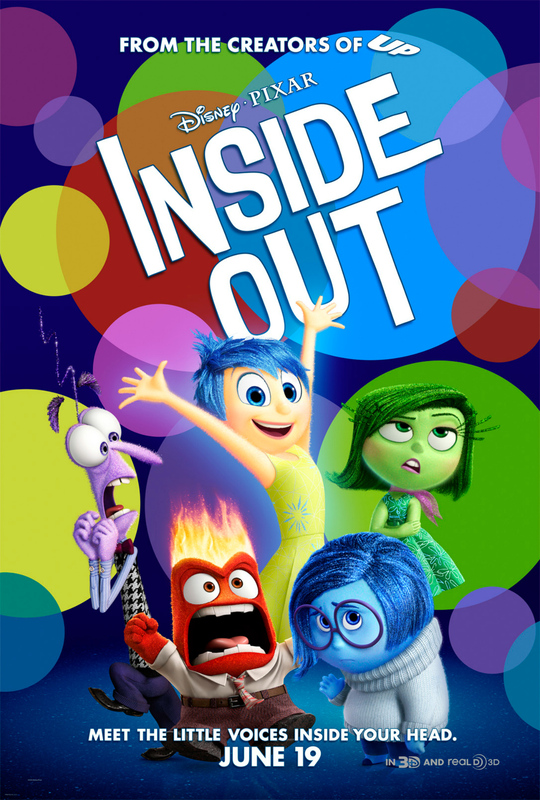 Looking pretty isn’t enough to make Inside Out a good film though, and fortunately the Pixar gang also offer both a plot and a character arc which delivering the full spectrum of emotions (literally and figuratively, which is rather appropriate) without being obvious. The cast work really well together, and no one outshines the rest or is so much of a talking point to make the others irrelevant. Parks and Recreation‘s Amy Poehler is passionate and likeable as Joy, while Phyllis Smith’s Sadness balances her out perfectly. 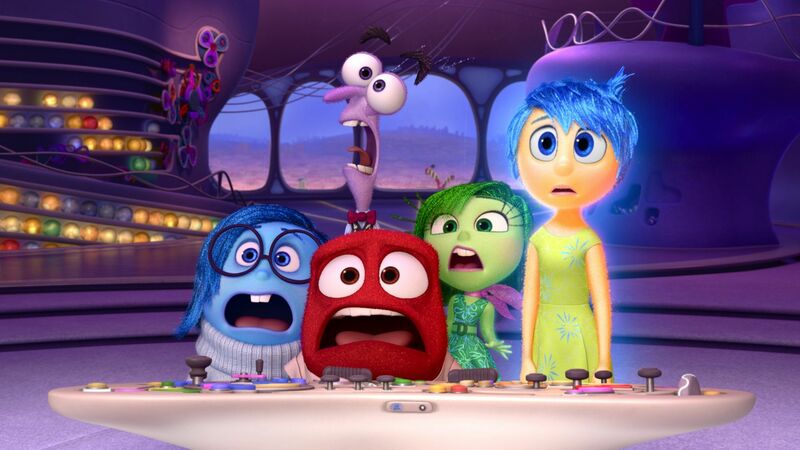 Disgust (Mindy Kaling), Fear (Bill Hader) and Anger (Lewis Black) all make a solid impression when the trio are left to their own devices and really it’s the human characters (as usual, you could say for Pixar) who come off as a bit dull. The concept of Inside Out alone is enough to warrant your attention but as soon as it has it it will hook you in for good, and that’s a good thing. Once again Pixar, specifically Pete Docter and Ronaldo Del Carmen, who also directed, have created an entire world we never knew existed and as soon as you see it it makes perfect sense. It almost goes without saying at this point, but the film is fun for adults and children, and proves that there are plenty of good ideas left out there. 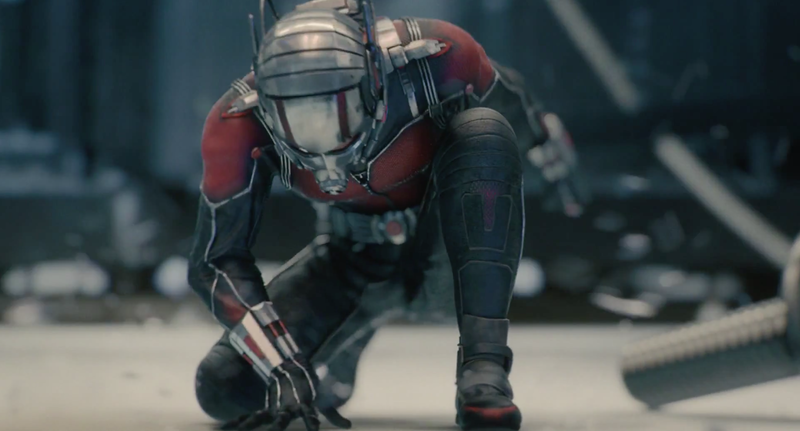 A small film and an even smaller hero in the context of the Marvel Cinematic Universe Ant-Man may be, but there’s no denying he knows how to make an entrance. With a premise which stretches audience’s limits of what they are willing to believe (oddly more so than a virtually invincible god with a magic hammer) Ant-Man had its work cut out from the off. On top of that add the pressure of following up the tremendously popular Guardians of the Galaxy from the ‘oddball’ side of the Marvel camp and the excitement of The Avengers: Age of Ultron only a few months before. 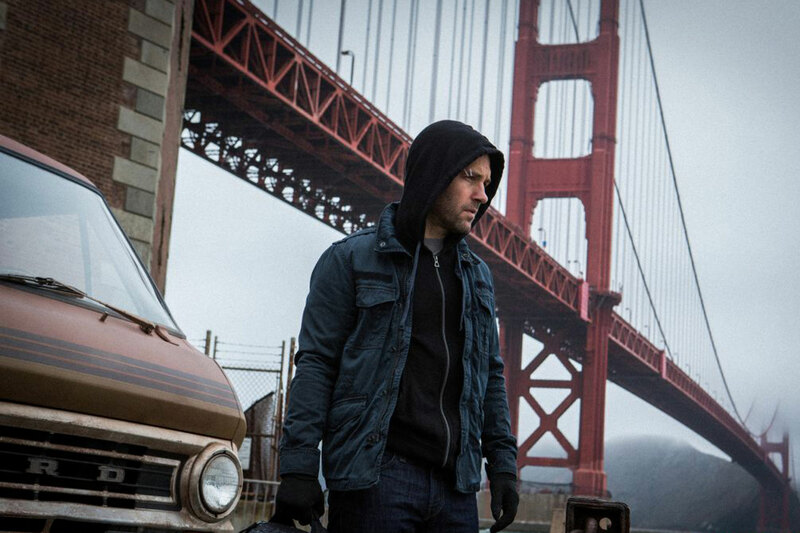 Star Paul Rudd and director Payton Reed remain unphased and sensible focus their film around the character of Scott Lang, a crook fresh out of jail for burglary (not robbery) who has a daughter he cares about – a lot. Being an ex-con is never easy, and immediately it’s easy to warm to Scott, who combines Rudd’s natural charm with some of the DNA of Downey Jr.’s Tony Stark and Chris Pratt’s Starlord to come up with something which somehow manages to feel fresh in a world filled with snarky heroes. Watching him hopefully from the shadows is Hank Pym, played (frankly, quite suprisingly) to perfection by Michael Douglas, in many ways the polar opposite to the brash, showy scientist which Howard Stark was. Pym is under pressure as his own company is on the brink of not only being taken in a worrying new direction, but it’s thanks to some of his long-buried research – The Pym Particle. It’s this which brings us our titular hero, a moniker originally worn by Pym back in the day, and now passed on to Lang, along with a chance to make amends for his past mistakes. Squaring off against our hero is the slightly disappointing Corey Stoll as Darren Cross. Stoll put on a fantastic turn on Netflix crown jewel House of Cards but here isn’t given too much to play with other than the broad strokes of Loki’s motivations, and sadly doesn’t stand up to them. While Cross might fall short, he is more than compensated by the other supporting characters, such as Evangeline Lilly’s Hope Van Dyne and even more so Michael Peña as Luis, definitely the comedy stand-out of the film. The story doesn’t take a massive leap from what we’ve seen before in the MCU and, one imagines, has been toned down from Edgar Wright’s original vision, after he left the project (though proudly maintains Executive Producer and Story credits). It seems like a missed opportunity to have tiptoed outside the box a little further than we’ve seen before, but given the scale of what Marvel are building, it’s no surprise they are taking a few safe choices. Reed and the cast deliver a film filled with a nice blend of comedy and action, differentiated from the likes of Guardians by feeling more grounded and relatable and more intimate than The Avengers from its narrower scope. Visually the film plays very well with 3D, so much so that it actually enhances the experience as advertised, and both the action and maintain the sense of fun which is threaded through the film. The heist vibe is also nicely played in, particularly with the theme and score which build a feeling similar to the intricate-yet-relatable plans from the likes of Ocean’s Eleven. The fun to be had here is massive and Marvel has handled a difficult property with precision, excitement and heart which is all-too-often lost in some of the more ambitious franchise films. 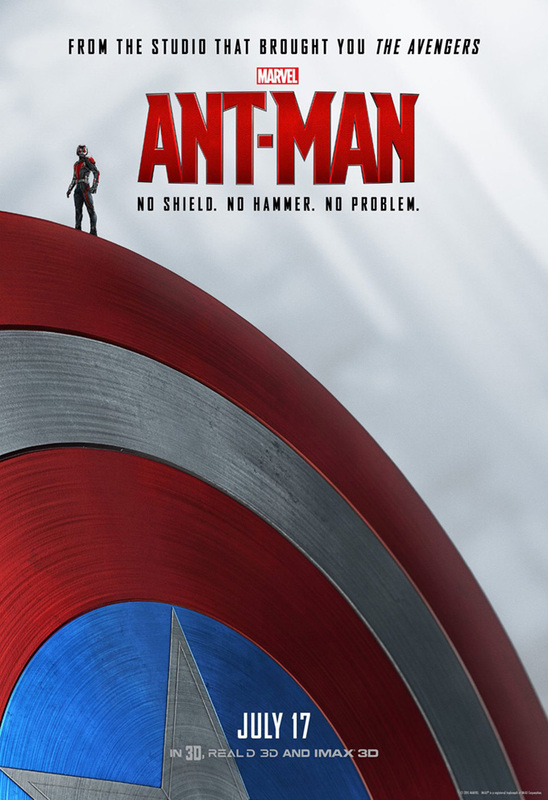 A great time for kids and adults alike, we’re looking forward to seeing Ant-Man play with the Avengers in the films still to come. The universe is a fairly large thing to fit into a film. Filled with sciencey mumbo-jumbo or not, it’s difficult to escape the fact that Stephen Hawking is one of the most respected and accomplished scientists Britain has to offer, but his story is not an easy one. Despite the headline drama of Hawking being struck with motor neurone disease, the real story is the relationships he had, which is hardly a surprise given the film itself is based on his wife’s autobiography rather than a dusty old textbook. Leading man Eddie Redmayne completely loses himself in the character of Hawking, who is by no means exaggerated on screen, genuinely being in equal parts just as eccentric and brilliant in real life. It’s not only Redmayne’s physical transformation, as Hawking’s disease takes hold, which is stunning, but the intensity and sensitivity he shows in even the early stages, establishing a character the audience can feel like they know. His Golden Globes win is surely a sign of future award successes to come. 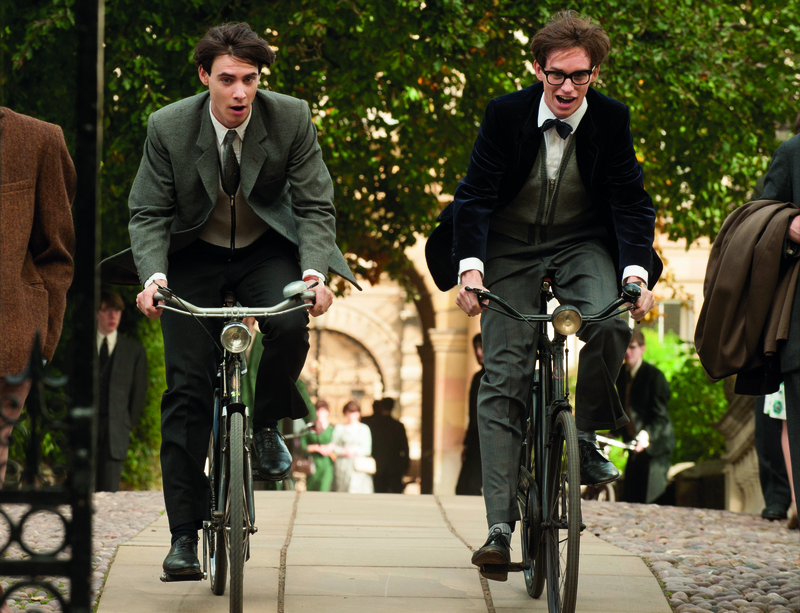 Good to see some familiar yet often overlooked faces in the supporting cast too, such as Game of Thrones and Doctor Who alum Harry Lloyd, who makes a suitably preppy turn as Hawking’s school chum Brian, and Harry Potter’s David Thewlis (that’s Lupin to you Pot-heads) commands respect as Professor Sciama. 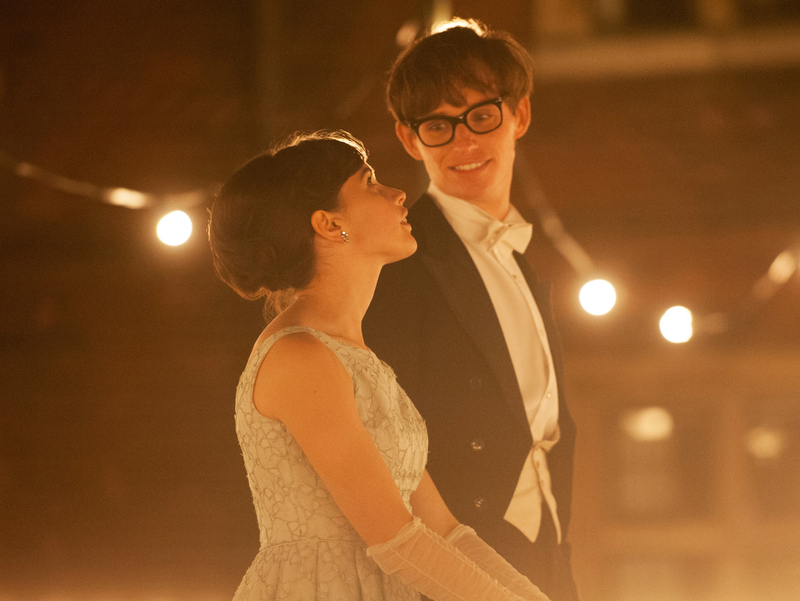 It’s Felicity Jones though, who plays Hawking’s wife Jane, who you really feel for. To find yourself in her shoes could only be the most bittersweet of circumstances: falling in love with an adorable genius, only to watch him slowly waste away, despite his mind staying as sharp as ever. No one would find such a situation a walk in the park, and the film does a good job of presenting the story without taking sides or casting judgement. 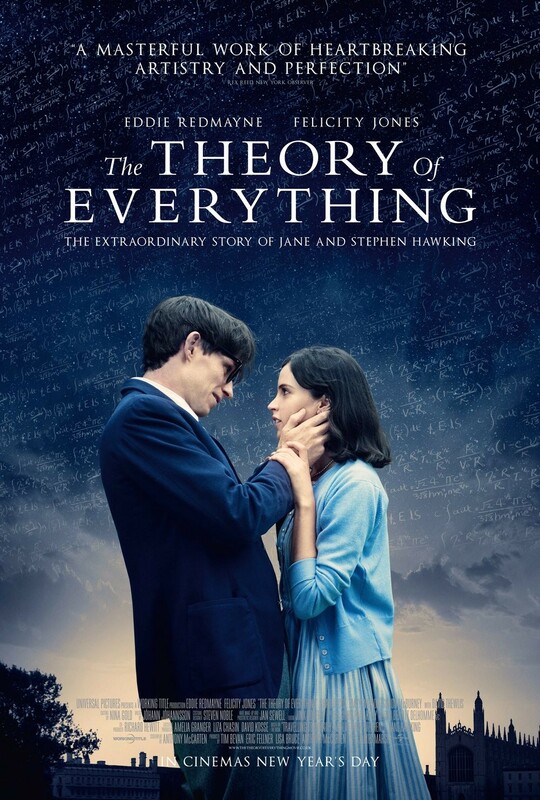 Much like The Imitation Game (an almost equally excellent journey), The Theory of Everything’s pace is the area most likely to make some attention’s drift, with a run time of just over two hours and slowing down at a few points, but really it would be unfair to mark down a filmmaking team giving such delicate moments a fair airing. Director James Marsh crafts his audience’s experience to the smallest detail, jumping you between the shoes of both Stephen and Jane, and ramping up the emotional impact gradually, almost without you noticing, until one critical dream sequence sees Hawking rise from his chair, as if cured, and scrape the knife across your heartstrings with expert care. The film leaves you with an unshakable feeling of both consideration and inspiration, just as you imagine the man himself would approve of – not putting himself on a pedestal nor gushing with pity or undue tears. No amount of science can explain the impact such a against-all-odds tale can have. People die. One fact anyone familiar with either the book or TV adaptations of Game of Thrones will already know. The real trick is, can a game trick you into caring about its characters as much as the ones fans of the show, in particular, know and love? 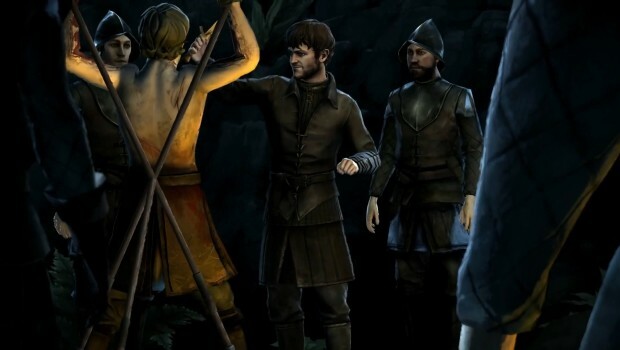 An episodic game, very much brought into the mainstream by Telltale themselves, this incarnation of Game of Thrones is very much part of the world, with the familiar characters (even voiced by their respective actors on the show) being positioned on the edges of its central narrative, rather than relying on them. Ramsey Snow (or Bolton, as he becomes in Series 4 of the show at least) is a definite highlight, with Iwan Rheon relishing every syllable of his utterly contemptible character, and even new characters managing to make a good first impression. 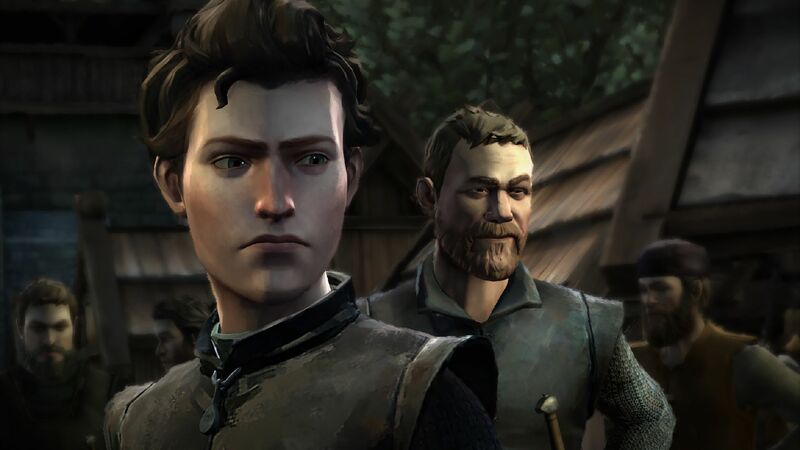 Later episodes may dictate how significant some characters can be, since Telltale’s talent for tailoring the path of story to every player’s decisions is present and correct, but based solely on the opening chapter the narrative, and its protagonists, are interesting and diverse enough to leave us wanting more. In action scenes the style creaks a little, with the slow motion quick-move-the-cursor moments proving frustrating at times when you ask yourself things like “Is he really only going to swing that sword twice?” Whether Telltale can keep the variety going through the rest of the series remains to be seen. In all an ideal first stab, especially for fans, with plenty more blood left to spill. 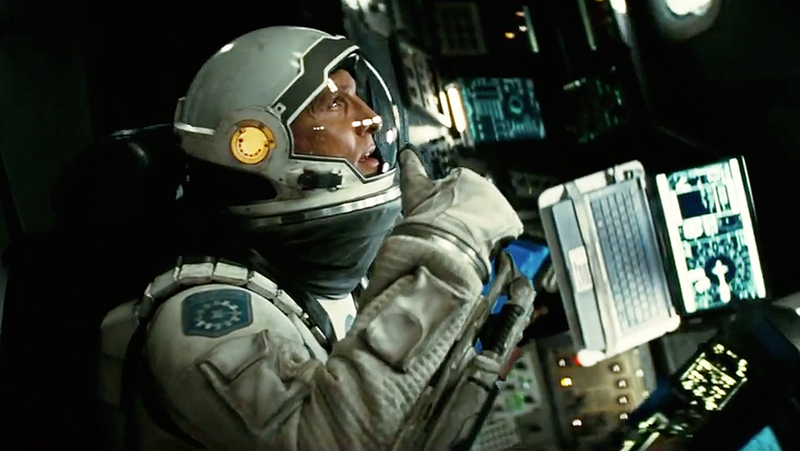 Interstellar is not 2001: A Space Odyssey, so get that out of your head right now. Christopher Nolan’s space-bound, more than featured length epic certainly shares some DNA with Kubrick’s classic, but in reality what you get is something quite different. One similarity is that you can explain the basic premise without telling you much about the film at all. 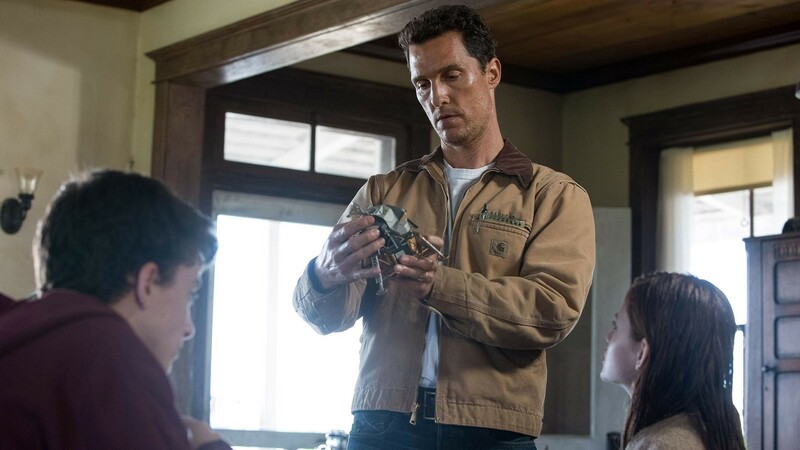 In a nutshell, Interstellar follows Cooper, a former pilot and engineer who exists in an age when the human race is grinding to a halt as it is running out of food. Despite culture debunking the Apollo moon landing as a hoax, to focus people on solving the problems on their doorstep instead of looking to the stars, in the end it is the stars which present the only real chance of saving humanity. Cooper’s own journey, and his relationship with his family is the real story though, with sci-fi merely providing the crisis to put things under pressure. Matthew McConaughey, who plays Coop, is very much the star here, delivering a very relatable and likeable performance in what was a critical role to sell the concept of the story to the audience. The supporting cast keeps going and going, with the introduction of each new character bringing another “Oh it’s that guy” moment, though this is by no means a bad thing. Jon Lithgow and female lead Anne Hathaway stand out as the strongest performances, as the former fulfills a Jiminy Cricket-type role to Coop before he leaves Earth, while the latter jumps between believing in science and love as the increasingly head-scratching plot progresses. From Nolan past films you may already have an idea what to expect here, leaving the somewhat more obvious Dark Knight Trilogy to one side, there’s always a cerebral element to his films, particularly Inception. You can almost watch the film in two ways: trying to make sense of the science and sci-fi or taking each thing as it comes and focusing on the human element. Nolan does a good job of balancing the two, meaning there is enough to keep a wider range of film fans engaged. Despite Nolan’s experience though, the final act does require a bit more brain power and could easily lose some, particularly the open-to-interpretation final shot. Not thinking about it all too much is the best way to enjoy it, although a lot of the science is actually fact, even if it is baffling. The perceptive may pick something up early on which reveals more about the finale than Nolan may have intended. Visually the film certainly lives up to the recent depictions of space, particularly Gravity – in fact the film could be described as a more action-packed version of that very film in some ways, and that’s by no means a bad thing. The depiction of the wormhole, which provides the celestial doorway to far-flung planets, and the black hold found on its far side are particularly stunning, and give you a real sense of scale. As usual, the silent depiction of space itself (due to it being a vacuum) is incredibly striking, and adds another dimension to some of the action set pieces. 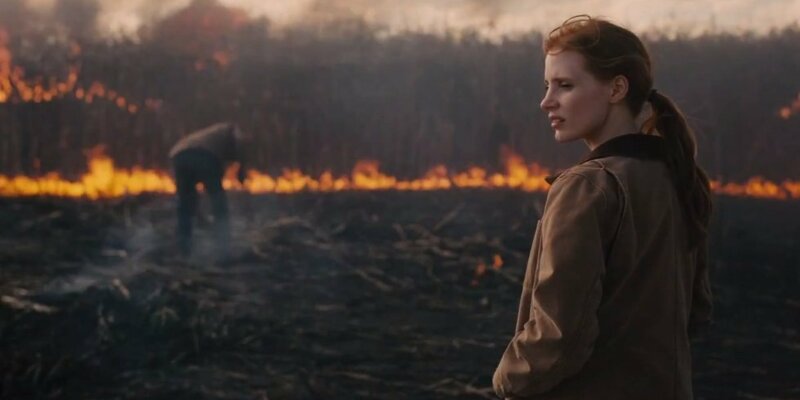 The score too does a lot to add to the atmosphere too, with Hans Zimmer stepping away from the somewhat distinctive sound of the past few Nolan films to something more soft and quite haunting in places. 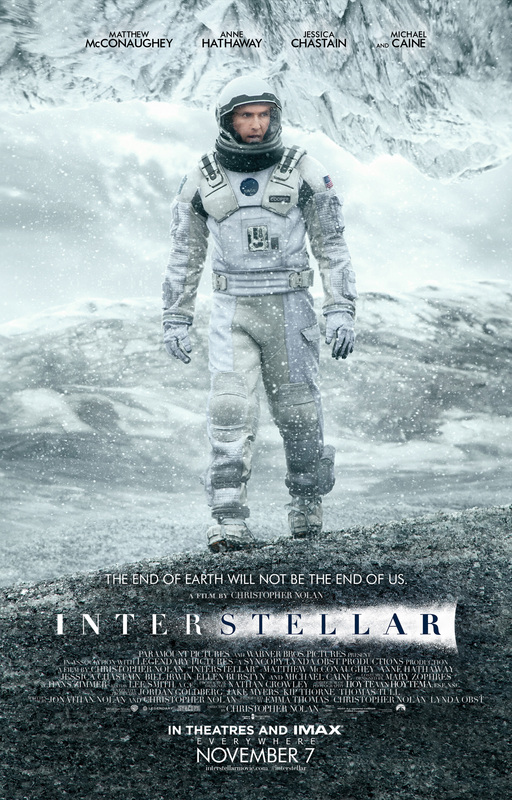 Providing you have the patience for a three-hour film, which can slow down at a couple of points, but not quite enough to lose your attention, then Interstellar is an impressive film with a good sense of scale and solid characters. That said, it won’t set your world on fire, particularly is Nolan’s style of filmmaking has struck a nerve in the past. Much like Gravity it’s a film worth watching for any film fan but only the committed will jump in again to unpick it’s layers. 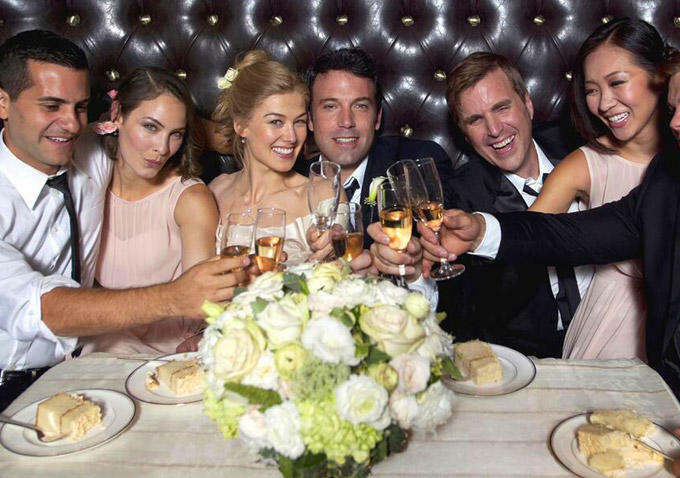 Ben Affleck stars as Nick Dunne, a man having a really bad time when his wife is taken…sorry, gone…one morning when he returns from his bar (imaginatively known as ‘The Bar). What has actually happened is a mystery, which unravels unexpectedly throughout the film. To say that the film contains a twist might be considered a twist for most films, but in this case, there are so many twists and turns you’ll be amazed that you haven’t ended got a headache. Affleck brings the feeling in this film, in a role which shows a lot of emotional depth – admittedly already evidenced by his excellent work in films such as Argo – which gives a lot of hope for his turn as The Caped Crusader in Batman vs Superman next year. Watching the story unfold in front of you through Affleck’s eyes just forces you to route for him, even if his character might not be as straightforward as your first impression might have thought. 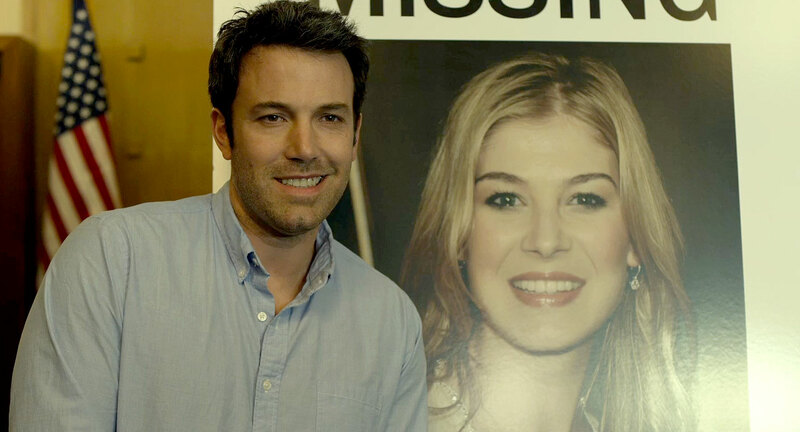 Female lead Rosamund Pike as wife Amy is just as complex a portrayal as Mr Affleck, although some male viewers might find it hard to relate to her just because of how strongly her gender runs through her character – you don’t feel as though if the genders of the two leads were reversed that the film would have unfolded in the same way. 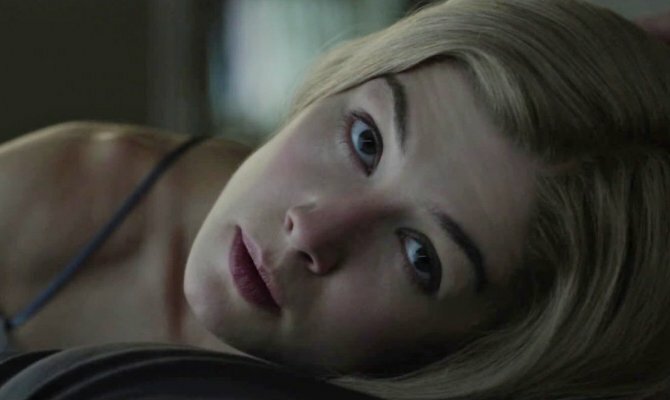 Rosamund Pike is Amy Dunne…but is she still alive? If director David Fincher had a word in mind when he was directing this film, it must have been ‘tension’. The film is dripping with it, so much so that you may not have any fingers left by the time the credits roll. 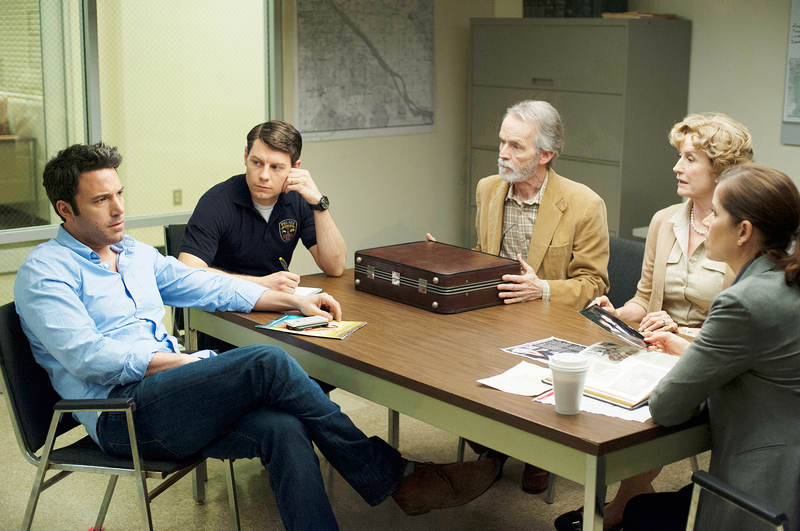 Like The Social Network before it, Fincher’s understanding of the subtleties of close personal relationships shine through here, causing no surprise at all when the characters interact naturally together. Part of the credit for that must go to screenwriter and author of the original book Gillian Flynn, who’s tale ups the ante at every stage as we delver deeper into its characters with each revelation. Even Desi Collings, the most misunderstood character of the piece, who Neil Patrick Harris gives you no choice but to feel sorry for, is written sharply enough to draw blood, despite a relatively short span on screen. As usual, Fincher’s musical meastros Trent Reznor and Atticus Ross bring the rich soundtrack which set the stage, and highten the uneasiness of the characters on multiple occasions. The visuals by comparison are generally low-key, with straightforward production and set design keeping the film grounded despite the fluctuations of its plot, though occasionally there is effects work which makes you stop dead and then squirm in your seat. There’s a strong feeling of balance with this film. 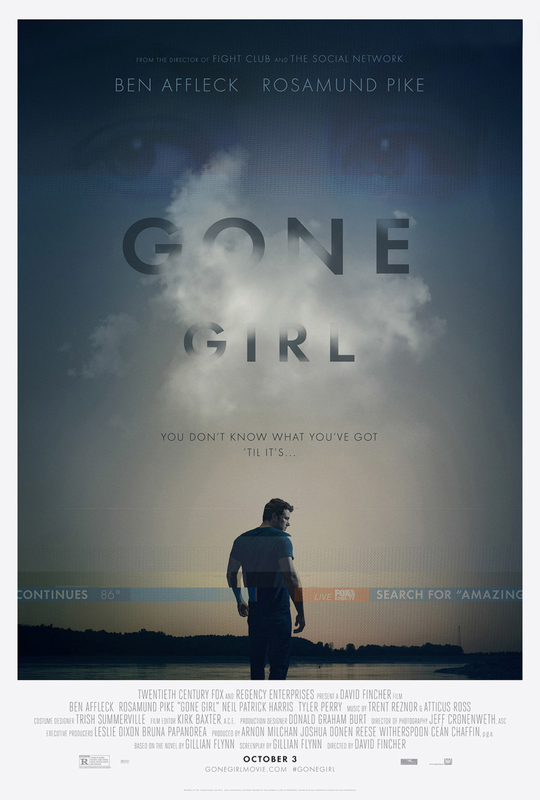 Let things slip too far into the surreal and you could lose your audience, but the way it is knotted together by Fincher (often with stubborn, ugly knots which can’t be unravelled) makes it strangely compelling viewing. More than once there is a moment where you feel like the story could finish, but then the film steps up a gear to push the audience even closer to the edge. There might not be a right time or a right place to take in the story without drawing comparisons to your own life, but in truth this just emphasises what a strong example of the medium the film is. Not one for the faint-hearted, but undeniably a quality experience. It’s not every day new albums come out which you actually care about. Unfortunately there just aren’t enough hours in the day for me to ramble about them all (far less than usual actually, sorry about that lone fan), and so slamming two together in what could be described as, but isn’t really, a head-to-head seemed like a fun option. 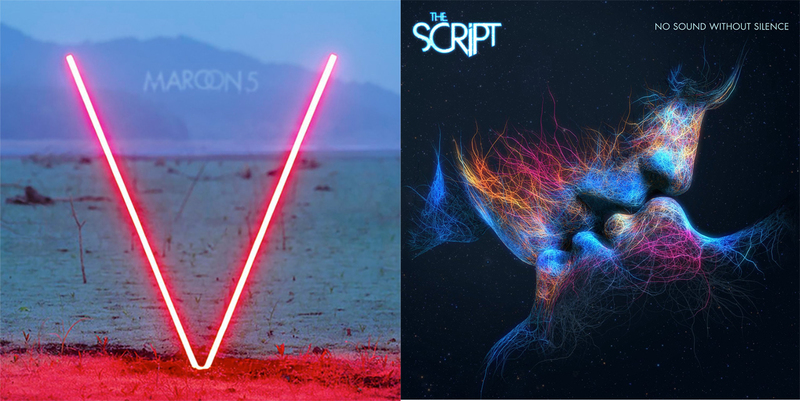 The reason Maroon 5 and The Script together sit together nicely is because they are bands in similar areas of the industry (though the Maroon 5 boys have a few more years and albums under their belt), but they are different enough to listen to back to back. 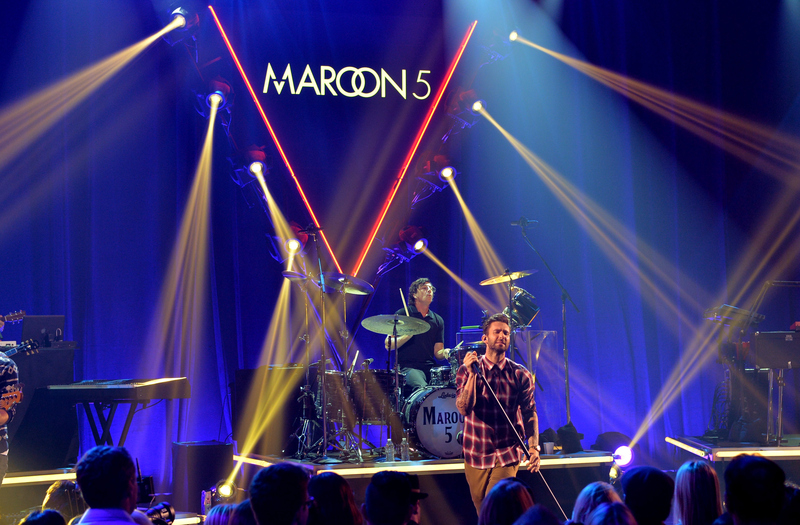 With their fifth album – however did you guess… – the boys have taken the dancier sound from Overexposed and refined it, bringing a bit more instrumentation back in as well as using more of their layered vocals from Adam Levine which made Songs About Jane stand out. Opener and lead single Maps is a perfect blend of the band’s catchy melodies and memorable guitar style. 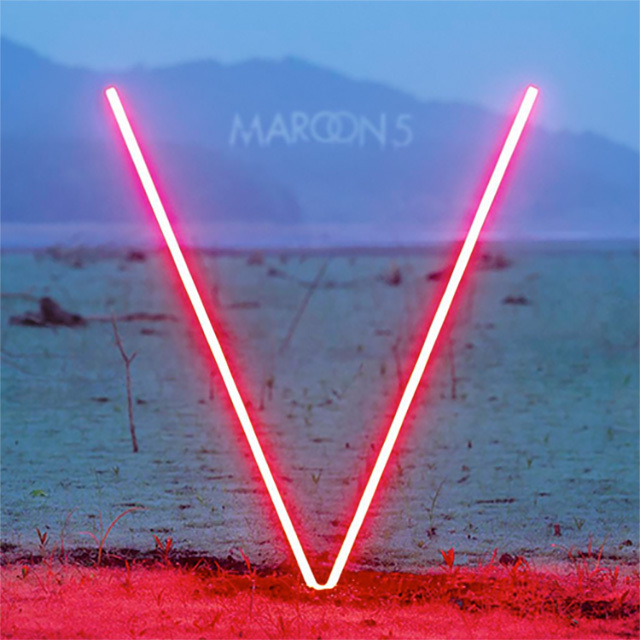 There aren’t many bands who can get away with repetition, even in a clearly pop-focused single, but Maroon 5 are excellent at taking a simple idea and elaborating on it through a song, driving it forward. Animals continues the theme in style, before It Was Always You mellows things out a little, dialling up the dance beats a notch. Levine’s vocals contain some of the highest notes we’ve heard and his various grunts and oohs build to screeches as the music swells, but in a way which refuses to step over the line into a piercing noise, similar to how Michael Jackson got away with it on many tracks. With a mixture of ballads with a beat and catchy numbers, the rest of the album plays out much as you might expect, with the odd 80s nod in the synth drums. It’s a collection of songs that hangs together well without any sticking out too far, but it may prove too middle-of-the-road for some as a result. No doubt there are top ten hits here waiting to be unleashed (so many in fact, that you could easily make a sweepstake out of it), but it’s only a small step from Overexposed compared to where the band began the consistency has improved but undoubtedly the edginess that made them most endearing when they crashed onto the scene has dulled slightly. That said there’s an awful lot to enjoy on this album, particularly for crowd singalong moments, and where Overexposed dragged its heels in the middle and became uninspiring, V never does. 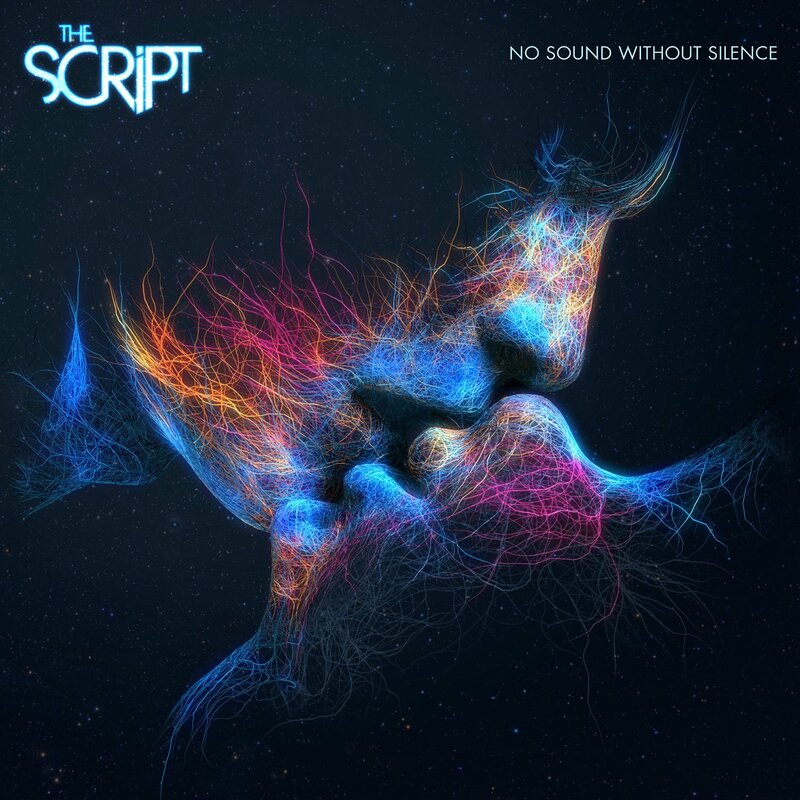 The fourth album from the Irish pop-rockers is a similar continuation on a theme, with the catchiness and excitement of #3 taken up a notch with lead single Superheroes. First track No Good In Goodbye has some excellent plays on words, including “Where’s the us in trust gone?” and “Can’t take the ache from heartbreak”, cementing the band’s position of one of the best lyrical groups in the charts. The sound overall has good mix of upbeat and more reflective songs, far more laid back than V certainly, but you do find yourself longing for one more singalong classic along the lines of Breakeven or The Man Who Can’t Be Moved. 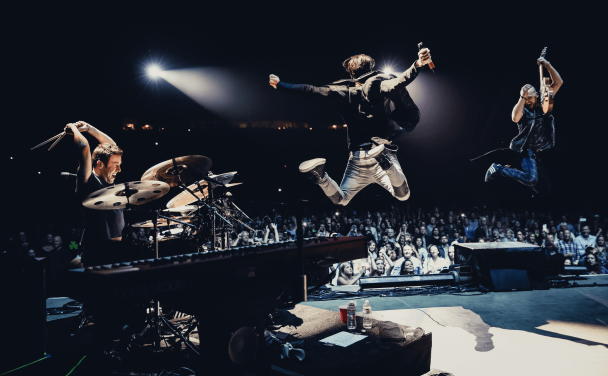 There are influences here of other bands like Coldplay, Bastille and even The 1975, but never more significant than the odd moment. The themes of the songs are still quite personal, but generally more aspirational and uplifting then they have been in the past. The Energy Never Dies and It’s Not For You both insist that you don’t have to take the situation you’ve ended up in and leave it at that, instead you can at the very least choose your attitude to it. Musically the band’s use of piano is much more natural this time, but otherwise it’s hard to find many stand out moments, it’s more just that the entire mix – particularly the interplay of vocals between all three of the brand members – is really impressive and at several moments really makes the tracks something special, to the extent that you can feel the odd goosebump. It might not have as much ammo for the charts as previous efforts but the songs are well crafted and fit together beautifully, creating an album you can just sit back and relax to or jump around the room with here and there. In short, both these albums deserve your attention, do yourself a favour and at least pick, but, if you know what’s good for you, choose both.